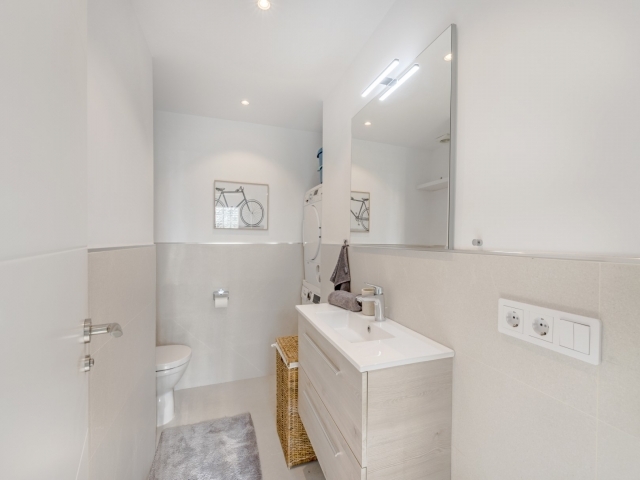 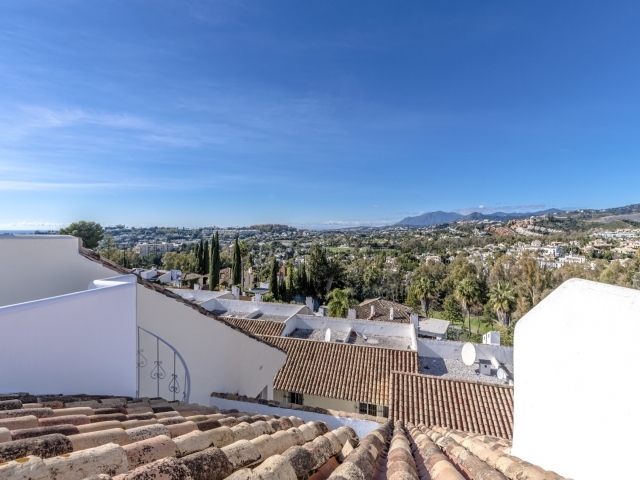 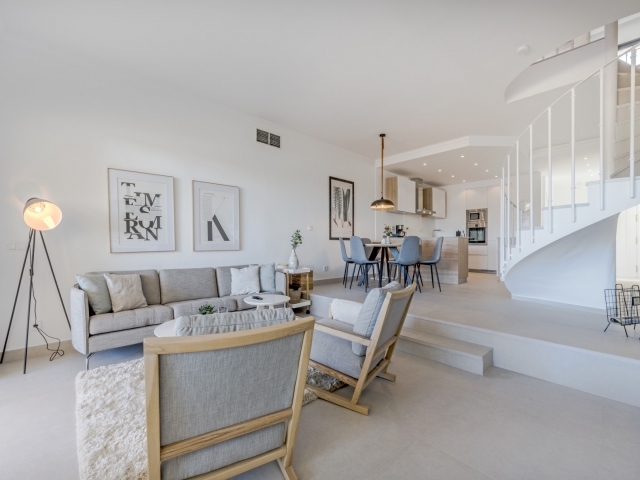 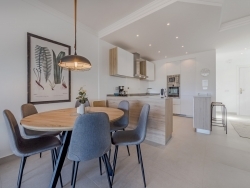 Stylish three bedroom townhouse situated in the heart of the Nueva Andalucia Golf Valley, just a five to ten minute drive to the beach. 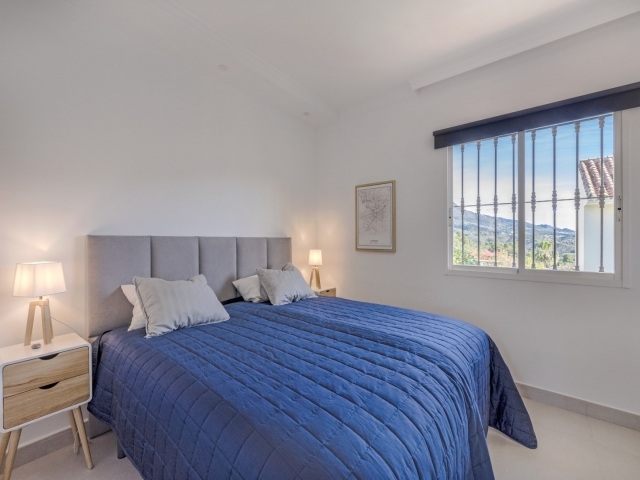 Surrounded by breathtaking views, Los Altos de Aloha is a gated community with mature communal gardens, a heated swimming pool and padel tennis courts. 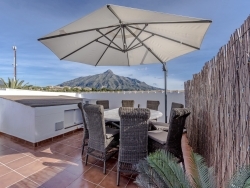 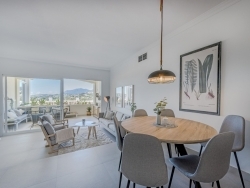 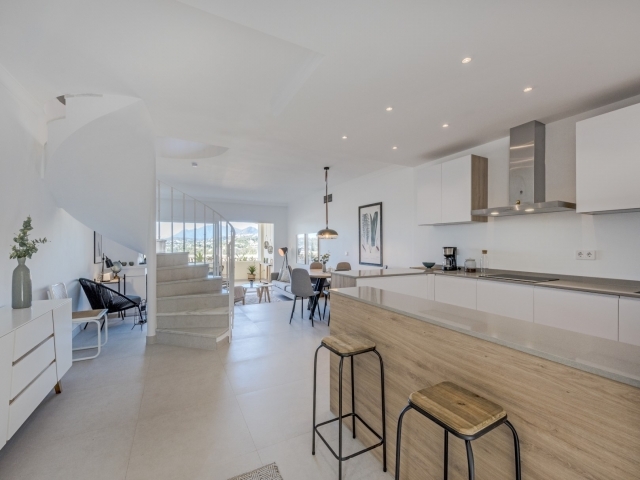 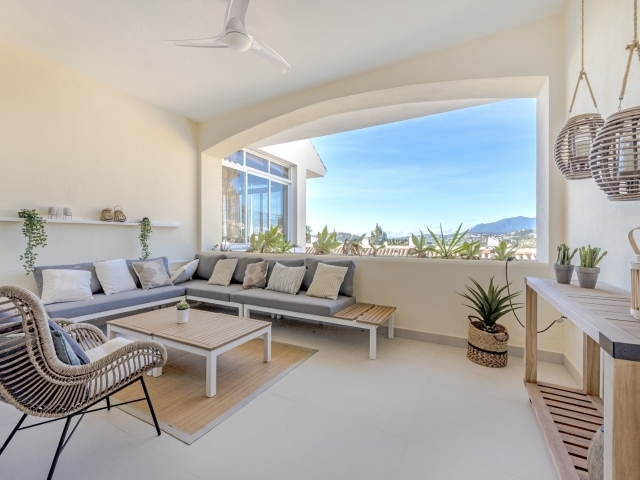 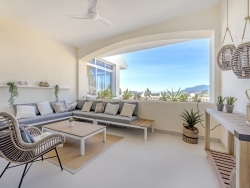 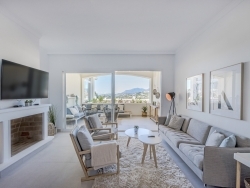 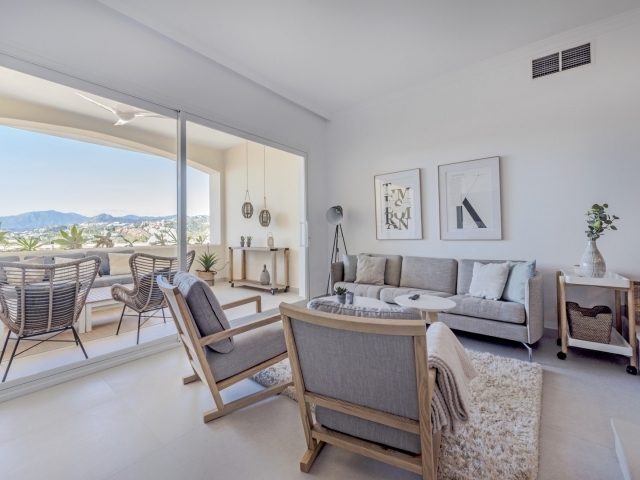 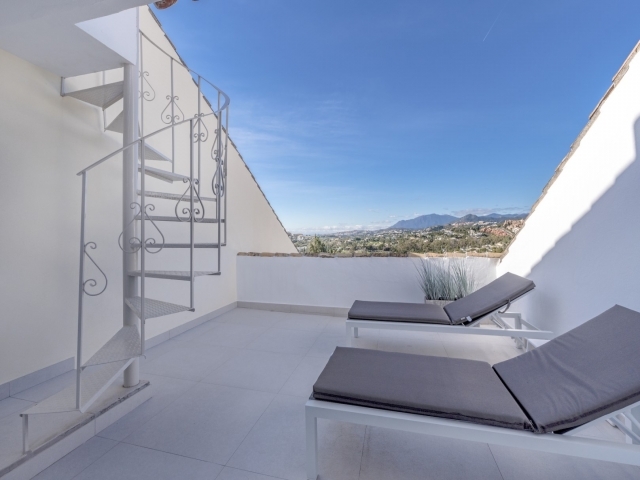 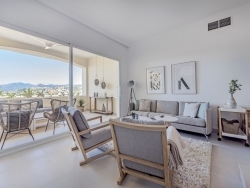 This townhouse is tastefully decorated with beautiful modern touches and boasts a fabulous rooftop terrace - the perfect spot to enjoy al-fresco dinners and breakfast in the sun, whilst taking in the stunning views of La Concha mountain! The entrance leads into an open-plan kitchen with breakfast bar and dining area for six people. 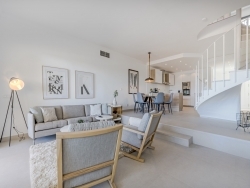 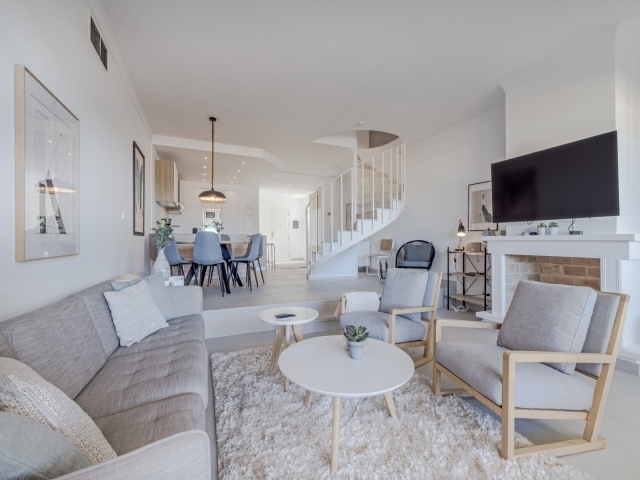 A couple of steps take you down to the living room with fireplace, comfortable sofas and TV area and sliding doors leading out to a lovely covered terrace. 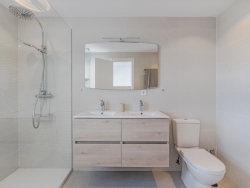 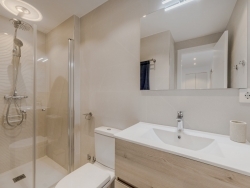 There are three double bedrooms and three bathrooms with walk-in showers. 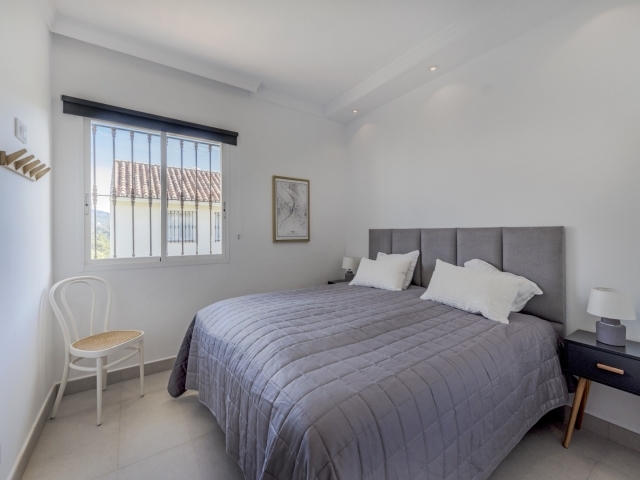 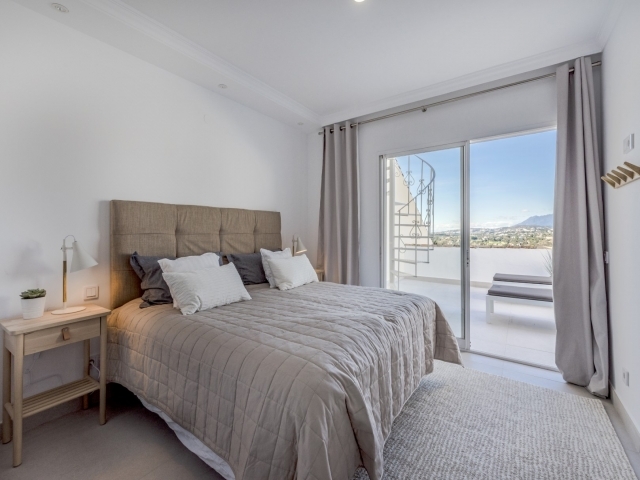 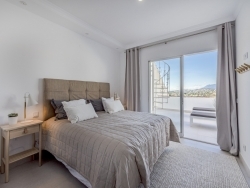 The master bedroom has access out to a terrace with a couple of sunbeds and spiral staircase up to the rooftop terrace which has a dining table for eight people. 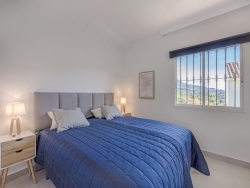 Los Altos de Aloha is a great choice as a holiday base; close to Aloha Golf, within walking distance of a selection of bars and restaurants and a just a short drive to Puerto Banus and Marbella, there is something for all the family.